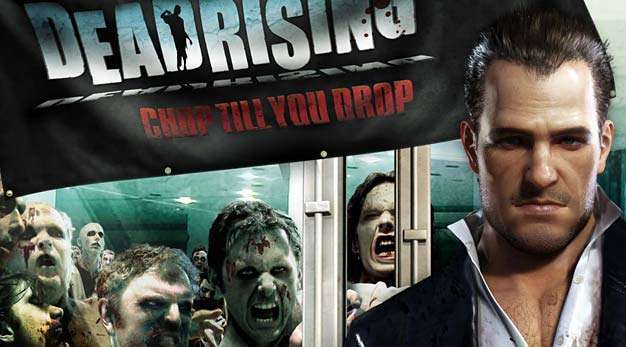 Capcom’s port of Dead Rising for the Wii has been subject to much scrutiny lately, with many wondering what kind experience it’ll deliver with so few zombies and with many core features not making the cut. While few expected the game to rival the 360 version’s visual splendor, question marks remain over just why the game looks as poor as it does. Here are 5 questions TVGB feels Capcom should answer about the upcoming port before releasing the game upon the public. Why does the game look so much worse than Resident Evil 4? Despite using the same engine as Resident Evil 4: Wii Edition, Chop Till You Drop has not even come close to matching its visuals in any of the videos released. The memorable Water Room in Resident Evil 4 rendered 23 enemies on screen at once (on the Gamecube), all modeled and animated better than any seen in Chop Till You Drop. The talent of the team in charge will have played a part here, but that still doesn’t fully explain the huge disparity in visual quality between the two games. Why is the budget for the port so small when sales of 500,000 have been projected? EA boss John Riccitiello recently stated that Wii games could typically be made for as little as a quarter of the budget of PS3 and 360 games. Reggie Fils-Aime also used 400,000 as a threshold for 3rd party games that had sold well at E3 ’08, which when looked at in the context of Riccitiello’s estimate would be the equivalent of over a million sales on the HD consoles . In light of their healthy sales projections, Capcom’s minuscule budget for Chop Till You Drop can be seen as a naked attempt at making as much money from Wii gamers with as little effort as possible. Why can Frank West, a Photojournalist, no longer take photos? One of the more fun elements of the 360 version of Dead Rising was the ability to take photographs to increase the abilities of the main character. This feature has been removed from the Wii port apparently due to the switch from a high overhead perspective to a closer Resident Evil 4 style one – a flimsy excuse if ever there was one. It’s more likely that the feature couldn’t be ported quickly and cheaply, and therefore was canned. On a console where the user can literally point and shoot, the lack of photography is inexcusable. In an attempt to make up for the lack of enemies, why weren’t the shambling zombies made faster and more aggressive? The Wii is not at powerful as the 360 and will not be able to display as many zombies simultaneously- this is something that Wii gamers knew from the very beginning. It’s an issue that could have been balanced by making the enemies faster and more aggressive; sadly there’s little evidence of this having taken place. Unless all the videos so far have shown the game being played on easy, Frank West will be wondering around a mall dotted with Zombies even slower and dumber than they were on the 360. Where will the tension come from? Why Dead Rising and not Lost Planet? When it was rumored that Capcom were porting one of their new HD IPs to the Wii, many assumed it would be Lost Planet rather than Dead Rising. The logic was that the huge number of Zombies in Dead Rising were fundamental to the experience, whereas Lost Planet’s gameplay would survive the transition to the Wii more or less intact. Resident Evil 4: Wii Edition’s strong sales were likely the deciding factor for Capcom here, but all signs suggest that Dead Rising was as poor a choice for the Wii as many initially predicted. With the excellent job the company did of porting Resident Evil 4 to the Wii; in particular the mapping of the controls, use of the Wii pointer and reduction in ammo, it’s still tough to believe that Chop Till You Drop will turn out to be the absolute failure it seems at the moment. However all sign point to this being a disaster from start to finish both for Capcom and Wii gamers.